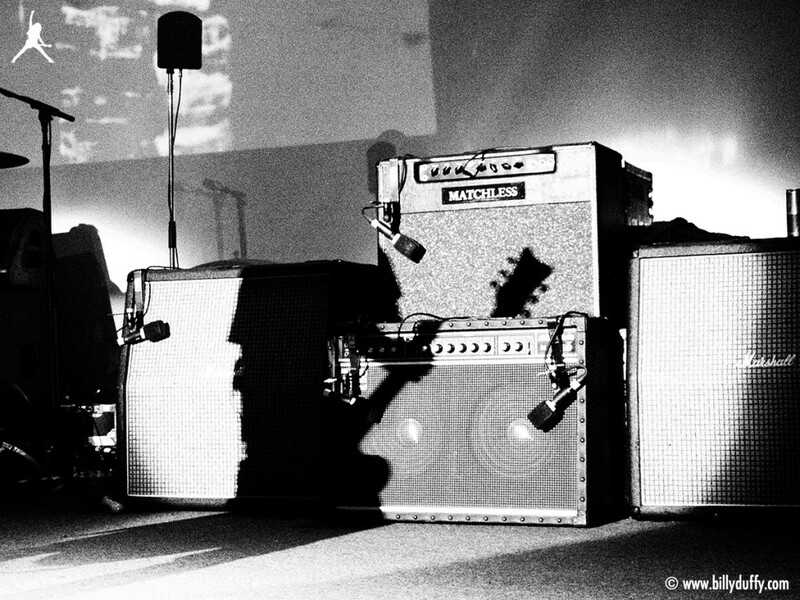 Billy's sillouette casts a cool shadow over his backline for 'Electric 13'. Showing are his Matchless DC-30 and Roland JC-120 Amps and retro style Marshall Speaker Cabinets. Also powering the sound behind the scenes are two 'Friedman' boutique amps.